John Malkovich makes a phone call to land johnmalkovich.com. John Malkovich is on an important phone call and he’s extremely angry. He wants to launch his fashion career with a website, JohnMalkovich.com, but someone else owns the domain. 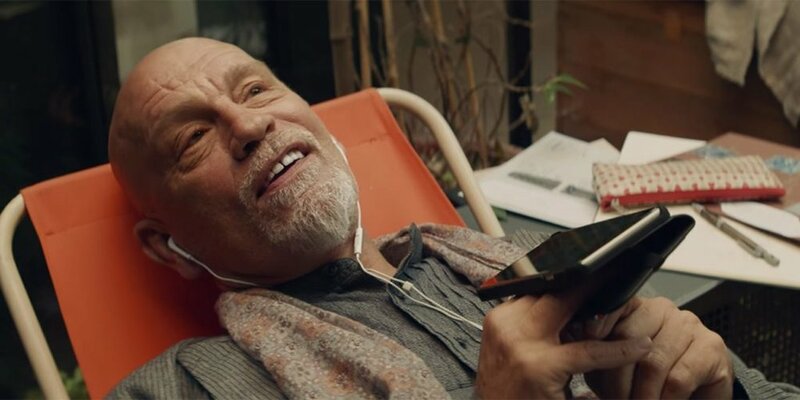 That’s how Squarespace’s hilarious Super Bowl LI spot, “Calling JohnMalkovich.com,” plays out—Malkovich, placing a friendly-turned-fuming phone call to someone who controls something he desperately needs. The best part of the ad’s premise—that Malkovich wants to launch a fashion site, but someone has his desired web address—is a true story and an insight that drove Squarespace, a company that helps people build their own personalized websites, to create this captivating spot (although the brand was not listed on any of consumer-perception research firm YouGov BrandIndex’s post-Super Bowl lists measuring advertisers with the most buzz, word of mouth and purchase consideration). Squarespace worked closely with partners JohnXHannes New York on the strategy, creative and more. The ad did, however, go on to win an Emmy Award for outstanding commercial in 2017. What did it take for the company to create a spot with creative that was powerful enough to snag an Emmy? “I think the most important thing a brand can focus on is authenticity—in whatever form that takes. A lot of brands try really hard to stand out, but more than ever, we believe people can sniff out disingenuousness, and they can tell if a brand is saying something just to say something,” said David Lee, CCO of Squarespace. Well, Squarespace was swimming in authenticity when it stumbled across the plotline for its Super Bowl ad, which wasn’t part of the brand’s original marketing plan. “We actually set out to launch a much smaller campaign with John in the fall of 2016,” Lee explained. However, when the company found out that Malkovich actually wanted to get into fashion and couldn’t access the website JohnMalkovich.com, the team wrote a script that was “too funny to pass up,” according to Lee. Once Squarespace stumbled on Malkovich’s gold mine of a story, Lee noted, “We all knew we had something phenomenal on our hands. It was a completely serendipitous moment that all came together at the right moment in time.” The most challenging part, he said, of creating the campaign was keeping it a secret for six months. With the Super Bowl ads costing at least $5 million for 30 seconds of airtime last year, Squarespace needed to deliver a hit that would connect with viewers to make the pricey investment worthwhile. Finding the right story and remaining authentic was the main mission. “Nothing cuts through clutter like having something real to communicate with your audience,” Lee said. The brand thoughtfully teased the Super Bowl spot and built up anticipation in the months and weeks leading up to the game. First came the long-form video, “John’s Journey,” a teaser of sorts that showed Malkovich’s journey from actor to fashion designer. “We followed that up with the pregame and in-game spots, continuing the story by focusing on one very specific moment: John’s attempt to buy JohnMalkovich.com for his business,” Lee said. And of course, Squarespace helped launch the real JohnMalkovich.com. On advertising’s biggest night, messages that are authentic always seem to connect most. Squarespace took that into account with the Malkovich ad. “John had this great, real-life story of struggling to get his domain because someone else already owned it. We took this insight and turned it into a smart and humorous spot,” Lee said. It’s easy to fall in love with an idea or a strategy for your Super Bowl ad, but for Lee, becoming attached to something is a huge no-no. “That strategy and vision will change as you go through the process of creating something for such a big audience,” he said. “Unexpected issues will arise, and the best thing you can do is be agile.” Things from timing, to legal approvals, to talent in these ads can change in the blink of an eye. After one Super Bowl hit (or two, or three), it can be easy for brands to hop on the Super Bowl bandwagon year after year, even when they don’t have the best creative. For Lee, it’s important that the creative team at Squarespace is always challenging itself, otherwise the investment isn’t worthwhile. “I think when this kind of opportunity stops challenging you as a brand, it’s time to take a break,” he said. This story first appeared in the Jan. 29, 2018, issue of Adweek magazine.